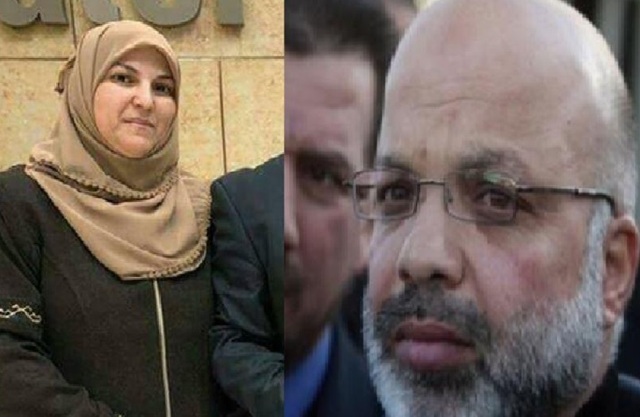 Israeli occupation forces this morning arrested Nisreen Dawiyat, the wife of the Palestinian Member of Parliament Ahmad Atoun. Atoun told a Palestinian Information Centre news correspondent that Israeli occupation forces stormed the family’s home in Sur Baher, in occupied Jerusalem, and arrested his wife. No reasons were given for her abduction. Dawiyat is a mother of five. Her husband lives in Ramallah after the Israeli occupation authorities forcibly deported him from occupied Jerusalem. Atoun was arrested five times by the Israeli forces. His sons Mujahed and Mohamed have also been detained on several occasions.